Every homeowner should know some basic DIY tips for home repair and improvement. By investing your own time and effort, you can save money on repairs and even perform some of your own renovations. While you will find plenty of good advice and step-by-step instructions in a home improvement guide, there are several smaller tips that can make you a safer and more capable DIYer. In this post, we are going to cover a few DIY tips every homeowner should know before they start working on their home improvement ideas. Beginner DIYers will want to build a tool collection, ensure conditions are safe before working, and buy extra supplies for their next project. One of the best home repair tips is to start building your tool collection. Most people can’t afford to get everything at once, but you can start off with the basics. Every DIYer should have a claw hammer, set of screwdrivers, cordless drill/driver, tape measure, level, and some wrenches. With this basic kit, you can do many of the most important home improvement guide projects around the house. After those are completed, you can consider getting additional tools like a circular saw, an impact driver, or an electric sander as you expand your home improvement ideas. Your indoor DIY work can be done regardless of the weather outdoors. However, if you are considering a job like exterior painting or planning to work on some driveway repairs, you need to watch the weather forecast and plan around things like rain. Any home renovation guide will tell you that the weather can impact the quality of your results, and you do not want to have to stop halfway through the project. Many homeowners work on their own electricity for jobs like changing light fixtures and repairing switches. However, one of the most important home maintenance tips for electricity is to make sure the power is off before you start. Again, any home remodeling guide will emphasize that you shouldn’t rely on the fact that you flipped a breaker or turned a switch off. Use a non-contact voltage tester to be sure there is no current to the item you are working on. A good work support can make a range of home improvement ideas easier. As just one example, if you choose to refinish your door, a good work support can hold it steady while you are doing things like sanding and staining. If you are looking for one of the most versatile work supports available, check out the JawHorse Portable Work Support Station. It folds up easily so you can take it wherever you need it, and the clamping jaws can apply over a ton of clamping force. This makes it the perfect companion for tackling a wide range of home improvement guide ideas. Even if your home remodeling guide lists an exact number for the different types of hardware you need for a project, you should always buy a little extra. There is the potential that pieces could get damaged or lost when you are working, and you don’t want to have to stop what you are doing in the middle of a project to make additional trips to the hardware store. Additionally, you can keep any leftover pieces. This is one of the top DIY tips for homeowners. You never know; they may come in handy when you need to do a quick repair in the future. It might not be on the list of basic home improvement tools, but every DIYer should consider the possibilities of an oscillating multi-tool. With so many oscillating tool accessories, they are one of the most versatile power tools available. They can be used to cut copper pipe, trim doors, cut holes in drywall, do detail sanding, remove grout, scrape and more. 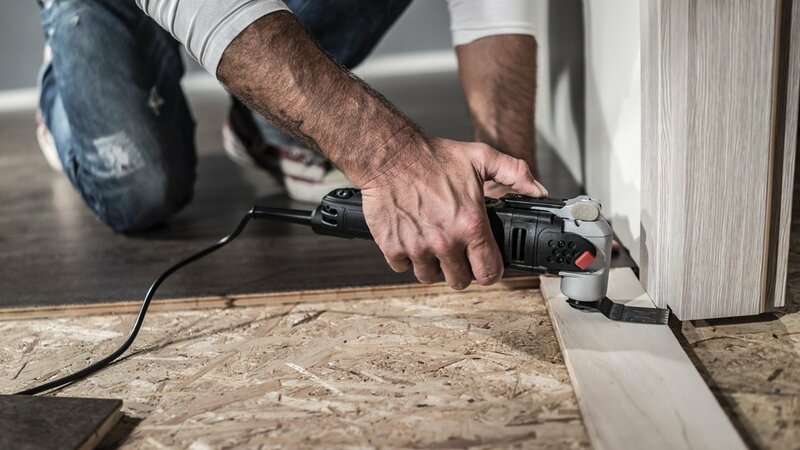 For one of the best models on the market, consider the Sonicrafter F50 Oscillating Multi-Tool. It is very easy to handle, and with tool-free blade changing, you can move easily from one home remodeling guide job to the next. For beginner DIYers, home improvement guides and ideas can sometimes feel overwhelming. However, with a bit of preparation and some basic home maintenance tips, there are many projects you can successfully tackle on your own. Find everything you need to turn your home improvement ideas into reality at Rockwell! Beginner DIYers will want to build a tool collection, ensure conditions are safe before working, and buy extra supplies for their next project.